A list of the 31 Spanish immersion programs in West Michigan. Inmersos/Immersed is a two-part series about the boom in Spanish immersion education programs in West Michigan schools. Below you can visualize and explore the data that I collected for this series. Click on the image to view it in a new tab. 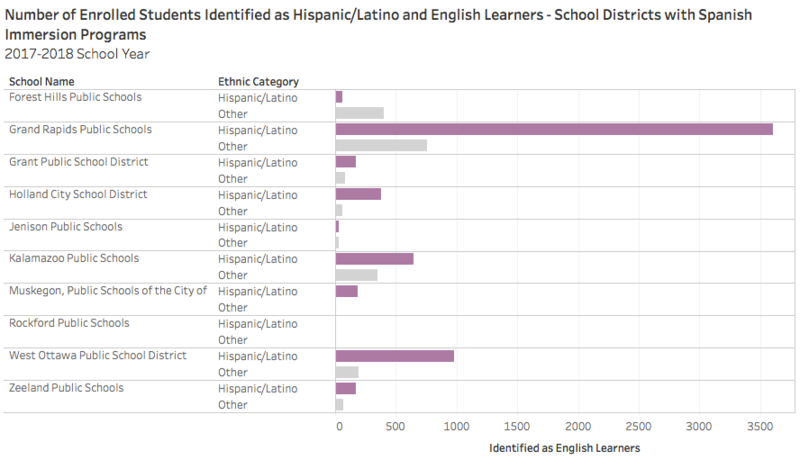 A table showing the number of students identified as Hispanic/Latino and English Learners in the 6 intermediate school districts in West Michigan. A table showing the number of students identified as Hispanic/Latino and English Learners in the 10 public school districts that have Spanish immersion programs in West Michigan. 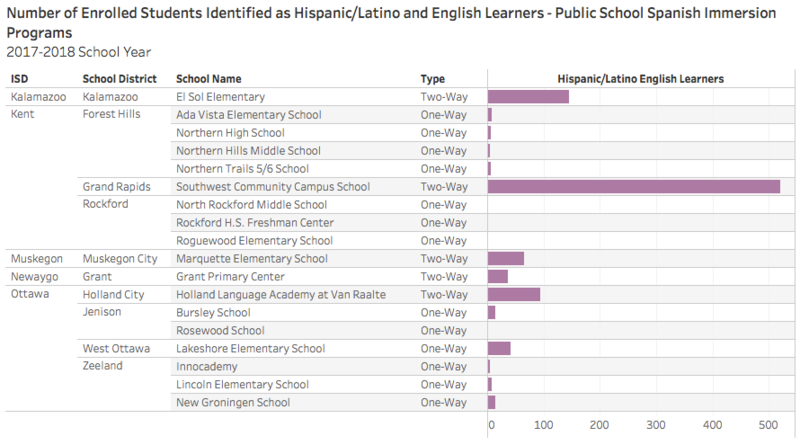 A table showing the number of students identified as Hispanic/Latino and English Learners in the 18 public schools that have Spanish immersion programs in West Michigan. A table comparing the student population of the 18 public schools and 13 private schools that have Spanish immersion programs in West Michigan. 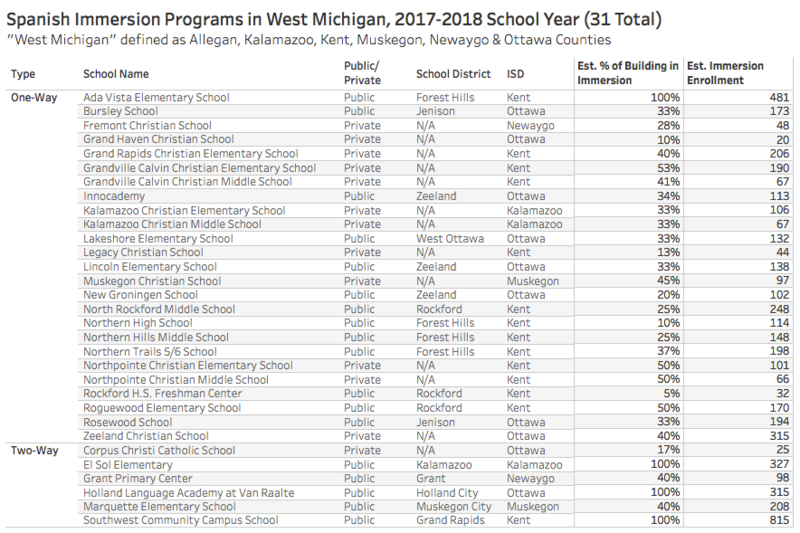 The list of 31 programs was compiled from a provisional list from the West Michigan Alliance of Immersion Educators, which was then verified and updated by Emily Hunsberger. The data about the type of program and the percentage of the building in immersion were compiled by Emily Hunsberger via individual contact with each school.